Paris, which will host the Olympics and Paralympics in 2024, is staging another major multi-sport event from tomorrow - the 10th edition of the Gay Games, which continues until August 12. A total of 1,350 athletes took place in the first Games of 1982 in San Francisco. The total expected to take part in the French capital is 10,000, with athletes from more than 80 countries participating. "From the start of this project, I chose to make a commitment beside the team of Paris 2018 - as a professional athlete, as a sports enthusiast but also as a woman and as a citizen. 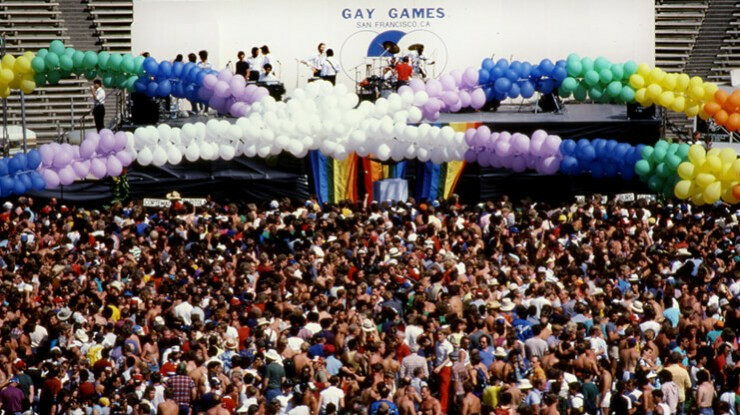 "This is why I invite you right now to join us: the Gay Games are a big party in which each can participate." On Tuesday (July 31), Paris 2024 President Tony Estanguet signed a lesbian, gay, bisexual and transgender (LGBT+) engagement charter on behalf of the Olympic and Paralympic Games in the French capital. New sports of boxing, pétanque, roller derby and wheelchair rugby – all approved by the Federation of Gay Games, were included in the bids of the three finalist bidding organisations from Liimerick in Ireland, London and Paris. The official event site describes the Games as "a hymn to love", advocating a society "for all diversities", and with the motto: "All Equal". Venues employed will include the Jean Bouin and Charléty stadiums, the Grand Palais, the Carreau du Temple and the Salle Pleyel. "Facing the world and the future," the official site added, "Paris and the Ile-de-France Region want to deliver Gay Games for the greatest number of people in the tradition of the spirit of Tom Waddell, its initiator, who dreamed of a world where the word equality would take its meaning, a world where the exclusion would no longer exist because of any difference." October 2017: Hong Kong awarded 2022 Gay Games after defeating Washington D.C.